The Yacht America was originally built for the 1851 World’s Fair. This Racing Yacht revolutionized naval architecture. Capturing the heart of millions as she raced to win the 100 Guineas Cup, the famed Silver Cup, was renamed the America’s Cup after this historic vessel. This only replica was built in 1995. At 139 ft long it’s the largest Coast Guard Inspected charter sailing vessel on the West coast. Come join us for a fun afternoon sail on the Yacht America. We’ll cruise the beautiful San Diego Bay with Ferrari Owner, Captain Troy and Staff. Your cruise includes Hors d’oeuvres and an Open Bar. Don’t miss out, please sign up early to save your place. Cost: $110.00pp. Cut off point for sign-up is August 9, 2019. Approx 50 PEOPLE max. *This event is exclusive to FOC Members or a Member with one Guest only. Adults only, 21 or older. The location for departing will be given after sign up. by Admin April 11, 2019 0 Com. 11.04.2019, by Admin 0 com. 10.02.2019, by Admin 0 com. 09.01.2019, by Admin 0 com. 05.11.2018, by Admin 0 com. 11.09.2018, by Admin 0 com. The Ferrari Owners Club was the first national club in the United States dedicated to the marque. 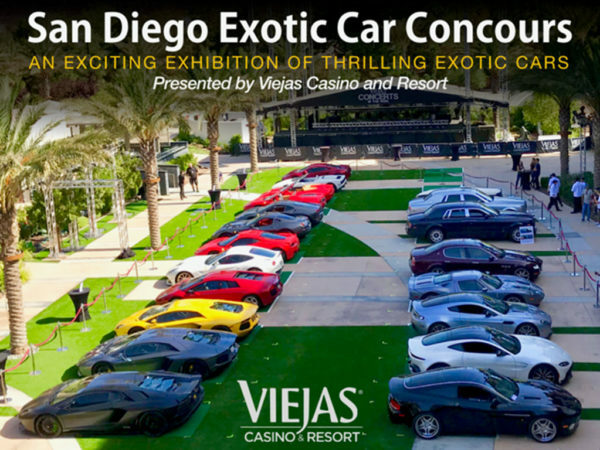 The San Diego Region, currently comprised of over 150 members, is known far and wide for its member events designed to enhance the Ferrari ownership experience. We are the largest region of the national Ferrari Owners Club and we'd like to think we're also the most active region. Our active and large Board of Directors is constantly putting on tried and true events that we do every year and adding new fresh events to make the club more entertaining and interesting for our Members. If you love Ferraris (and who doesn't? ), then you'll love our club!